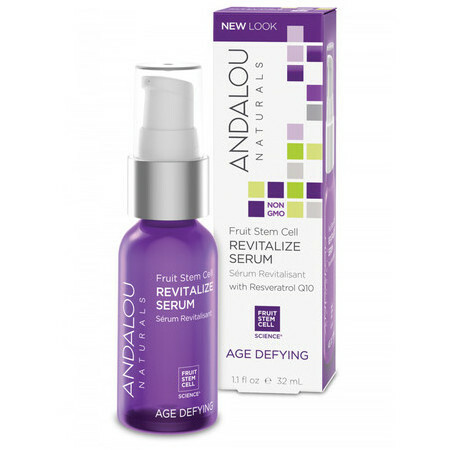 This seriously moisturising serum from Andalou is perfect for dry or ageing complexions. Powerful antioxidants including a bioactive 8 berry complex including Goji & Acai berry; Resveratrol from red grapes and Co-Enzyme Q10 support skin health and functionality including the production of collagen and elastin which support skin texture and youthfulness. 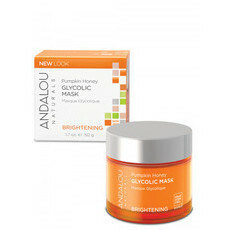 Made in the USA with a minimum of 70% Certified Organic Ingredients. Certified GMO Free, Vegan, Certified Cruelty Free, Certified Gluten Free. FSC Certified and recyclable packing used. Aloe Vera, CoQ, Cranberry, Evening Primrose Oil, Goji Berries, Hyaluronic Acid, Olive Squalane, Red Wine Resveratrol, Rosehip Oil, Sea Buckthorn, Sunflower Oil, Vitamin C, Vitamin E.
Gently apply to a clean face and neck before moisturiser. I was looking for a product containing some form of plant stem cells and was sceptical of this brand - this serum really has made a noticeable difference to my skin texture and hydration, it really works if you use a bit morning and night. I use this under the matching day or night cream and my skin feels sooooo soft. Smells good too.